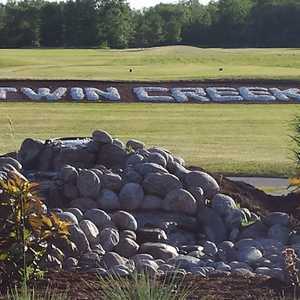 The 18-hole Blue Mountain Golf & Country Club in Collingwood, ON is a semi-private golf course. 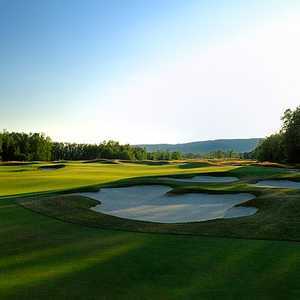 Blue Mountain Golf & Country Club measures 6432 yards from the longest tees and has a slope rating of 135 and a 71.2 USGA rating. The course features 6 sets of tees for different skill levels. 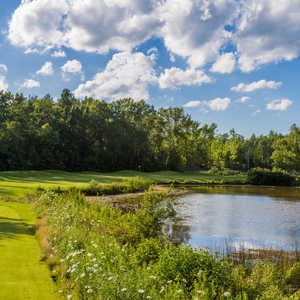 Cranberry Golf Course was carved from the picturesque landscape of southern Georgian Bay and has the distinction of being Canada’s first Audubon Society-certified golf course. There is some slight undulation in the bent grass fairways but overall the terrain is flat. The 18-hole Monterra Golf Course in Collingwood, ON is a resort golf course that opened in 1989. Designed by Thomas McBroom, Monterra Golf Course measures 6581 yards from the longest tees and has a slope rating of 142 and a 71.9 USGA rating. The course features 3 sets of tees for different skill levels. Oslerbrook Golf & Country Club gently tumbles across a rolling landscape framed by the Georgian Bay and the Niagara Escarpment. Dense mixed forests and a long, high ridge that offers panoramic views characterize the scenic course.